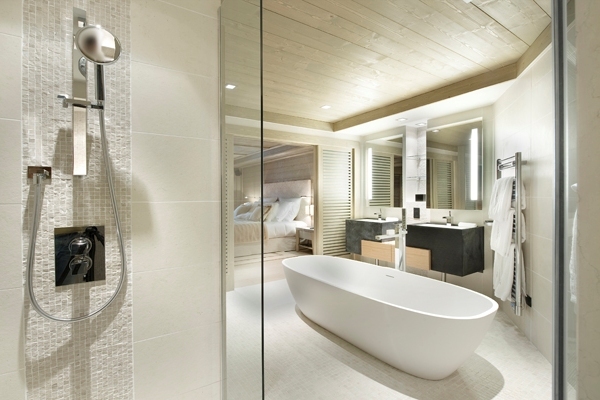 Operated by the reputed Hotel Le K2, Chalet Karakoram is a luxury vacation property in the chic ski resort of Courchevel 1850. 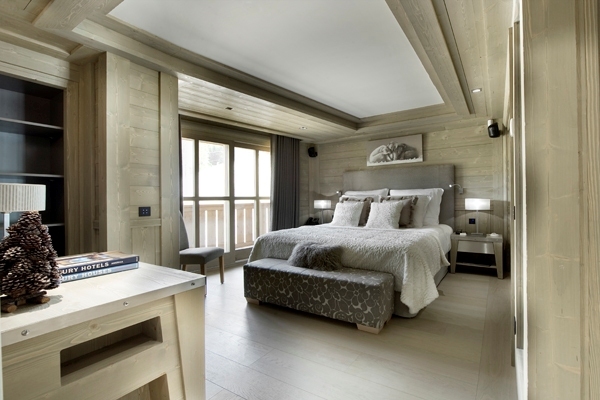 Located right beside the Cospillot ski slope, this lavish chalet is just moments away from the resort centre. 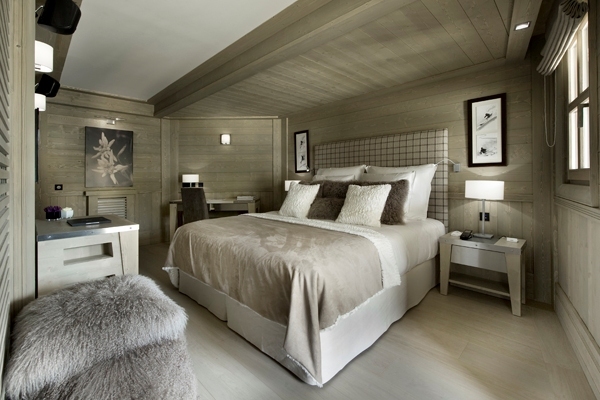 So you can enjoy the privacy, lovely vistas and serenity while the famous Les Trois Vallees is also easily accessible. 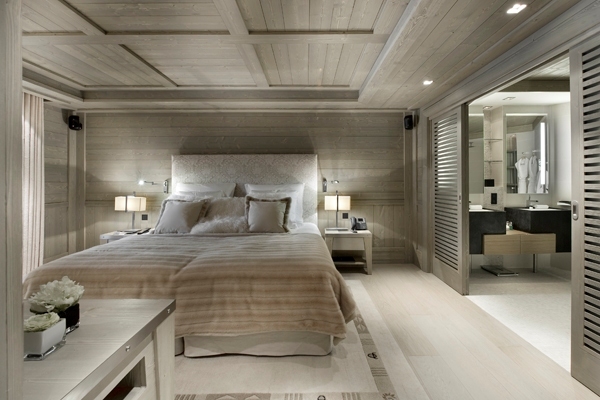 Chalet Karakoram is a 507 sqm chalet and boasts of elegantly designed spaces. 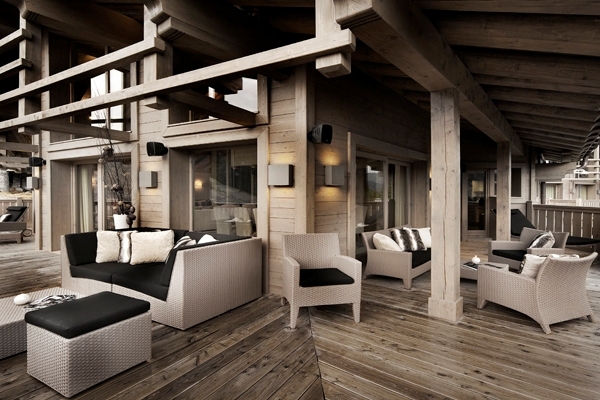 The interior is a combination of traditional alpine character accented with modern touches. 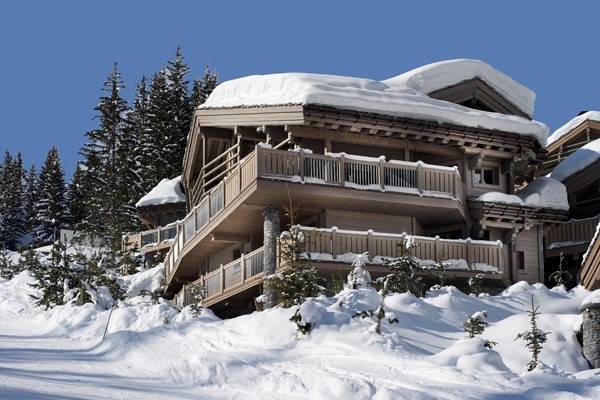 The chalet is arranged on four levels, the chalet can comfortably accommodate up to ten guests. The five double bedrooms are absolutely comfortable and feature en suite bathrooms, dressing rooms, separate balconies and also LCD TV for entertainment. Four of the five bedrooms are on the first floor while the last occupies a place on the mezzanine level. 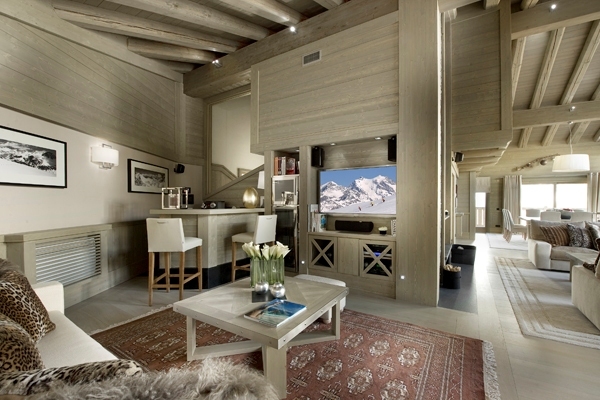 The highlight of this ski in/ ski out chalet is its open plan living and dining area that spans the second floor. The living room comprises two separate sitting lounges with open fireplace, library and bar. The adjoining dining space is the perfect place to enjoy gourmet delicacies prepared by your private chef. There is a fully equipped kitchen while the huge balcony flanks the chalet and boasts of lovely views of the Vanoise Mountains. The ground floor is your personal domain for relaxation; you can take a dip in the swimming pool featuring waterfalls; loosen up your muscles in the Jacuzzi or just lie down and unwind on the lounge chairs in the pool area. 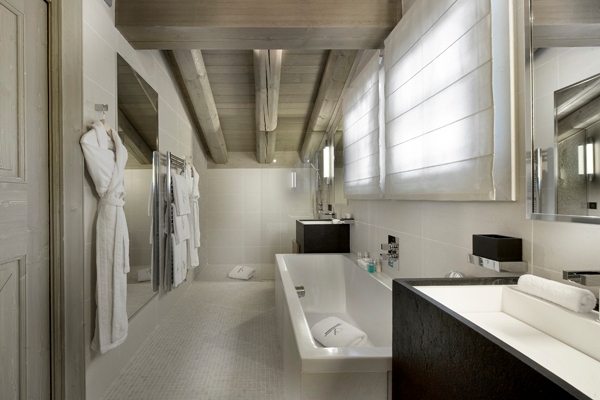 Moreover there is also an outdoor hot tub in the balcony. 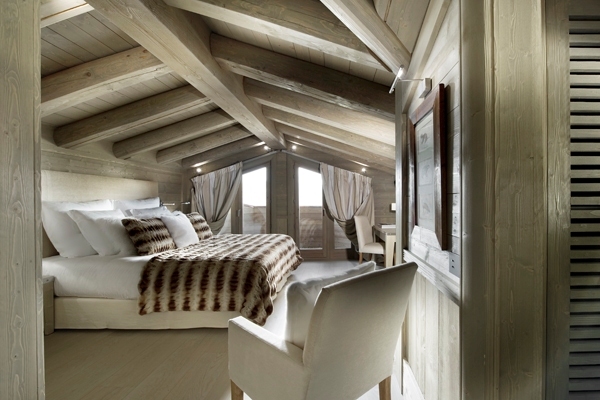 The chalet also features a terrace and lift that serves all floors. 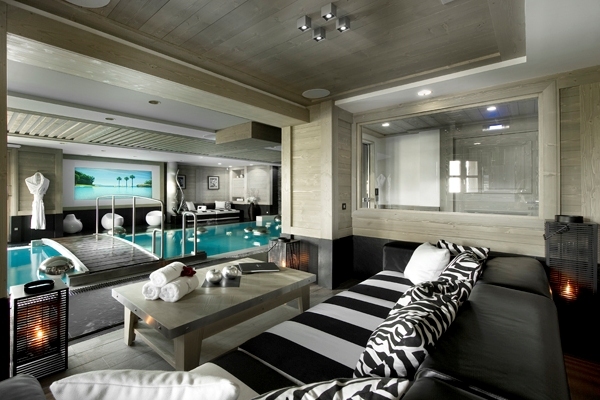 With impeccable service and modern facilities, Chalet Karakoram is the best alternative if you’re visiting Courchevel.